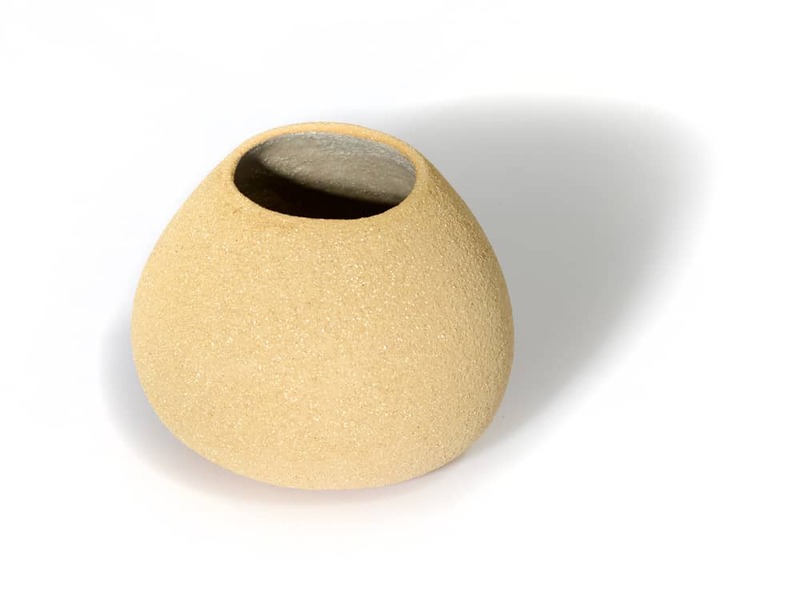 Elica has produced a range for Heart Gallery that exhibits the beauty of clay in its natural organic form, with an emphasis on asymmetric shapes with bold textures. 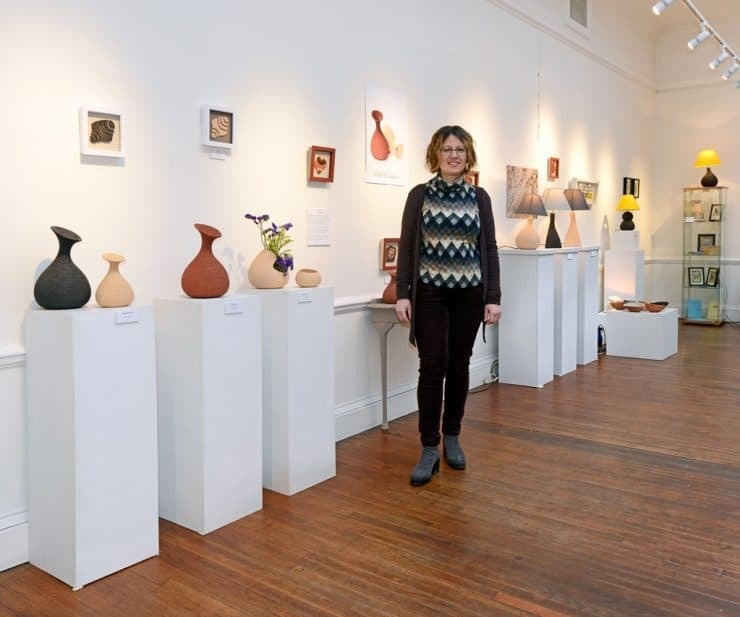 She discovered clay as a medium during her study in Art & Design at Dumfries College. 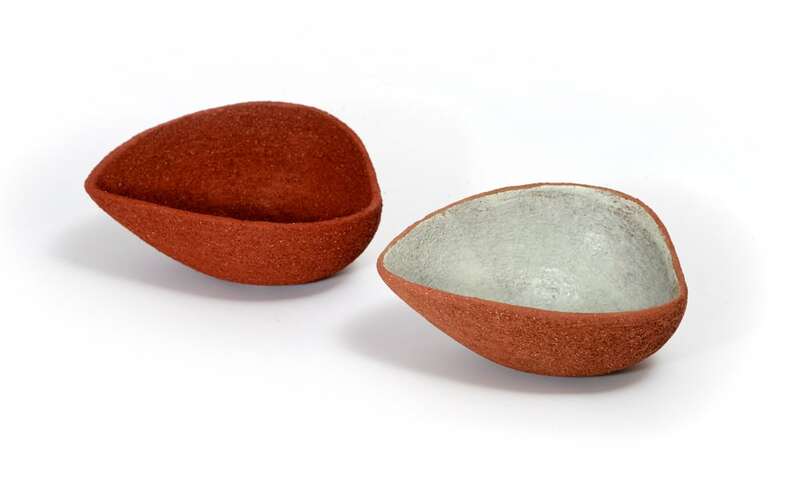 Her enjoyment of experimenting with new clay forms, led to her current range of ceramics. 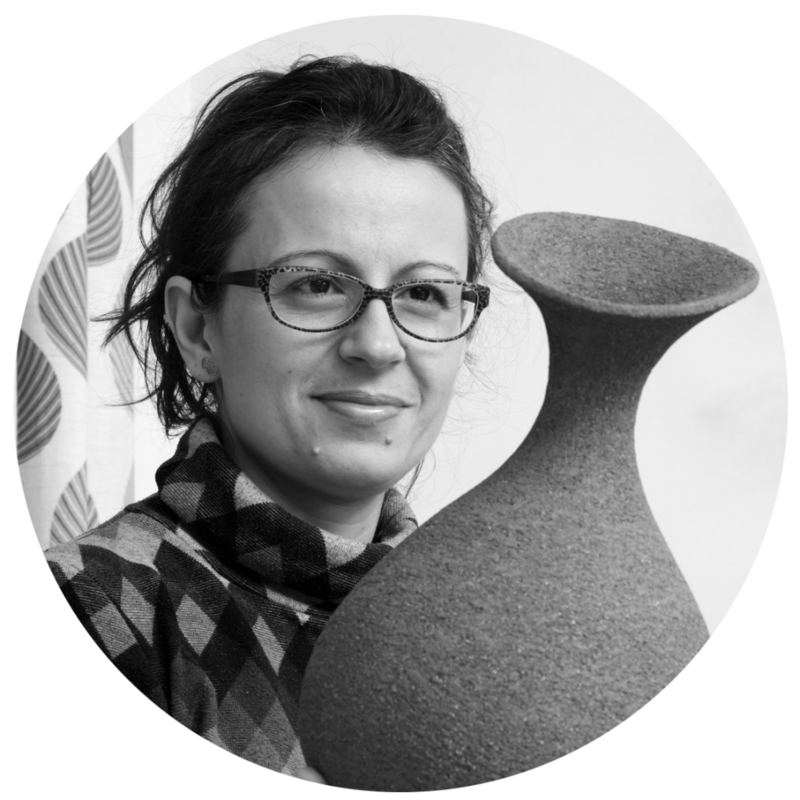 Elica’s pots are press moulded, then partially coiled, and finally hand sculpted. 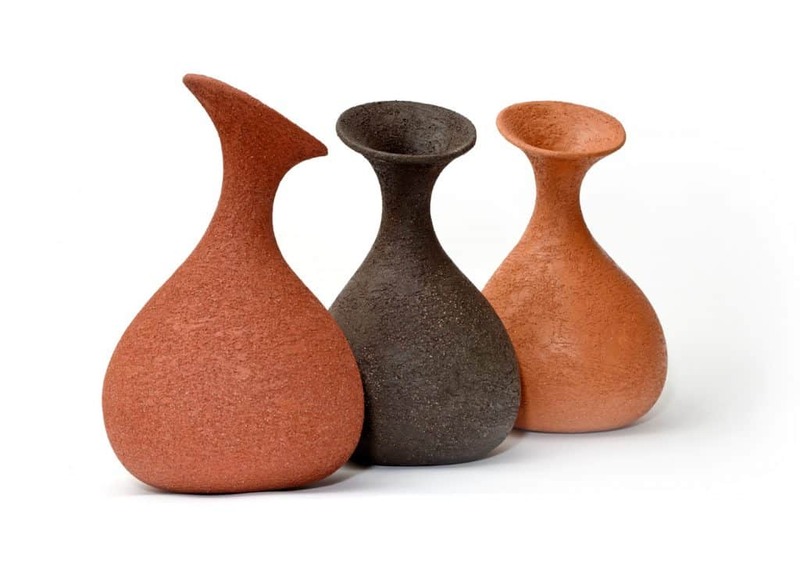 She uses grogged clays with warm, earthen and organic tones in red, black, sand and terracotta colours. 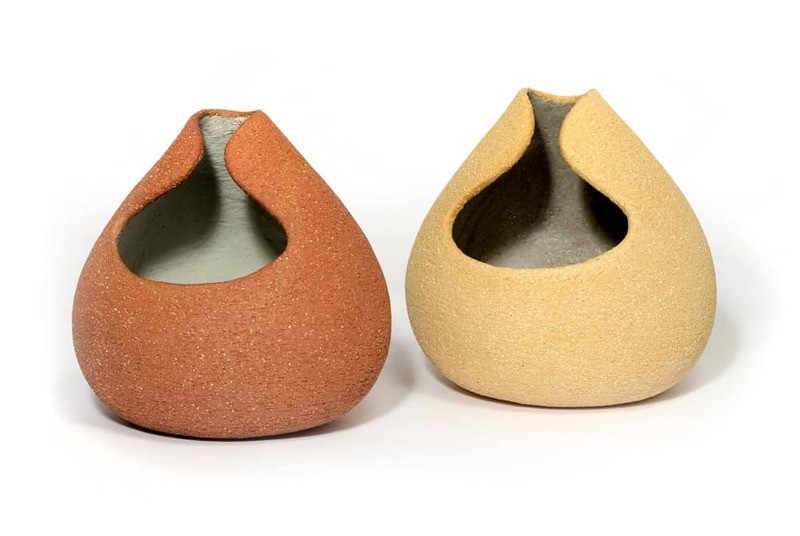 The emphasis is on the natural texture and colour of the clay. 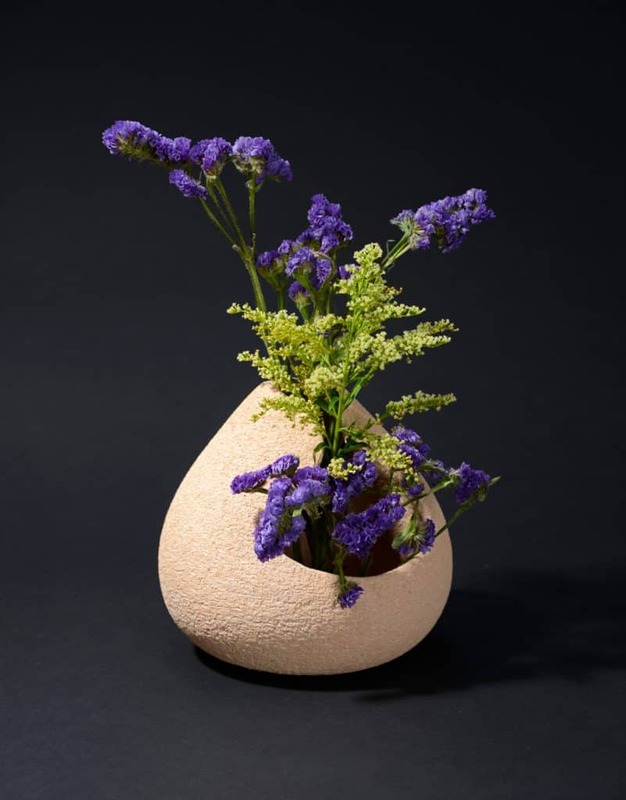 Erica avoids glazes where possible, in order to preserve an organic theme. 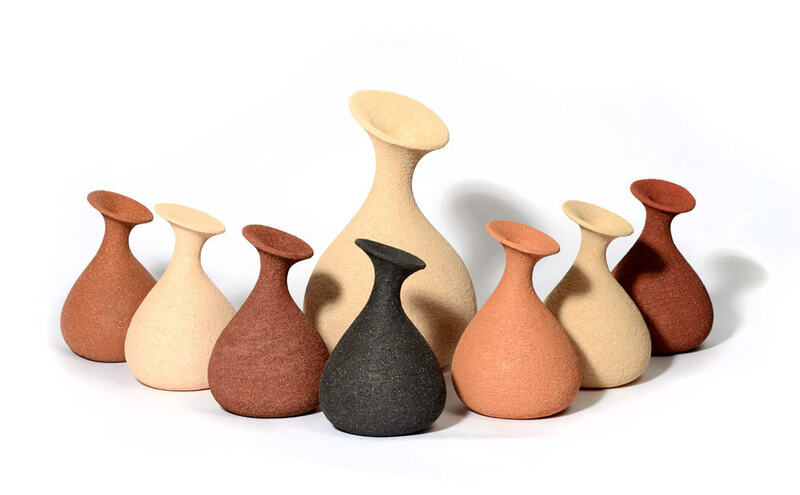 The firings vary from earthen to mid-temperature, which produced darker and light tones for each individual clay. 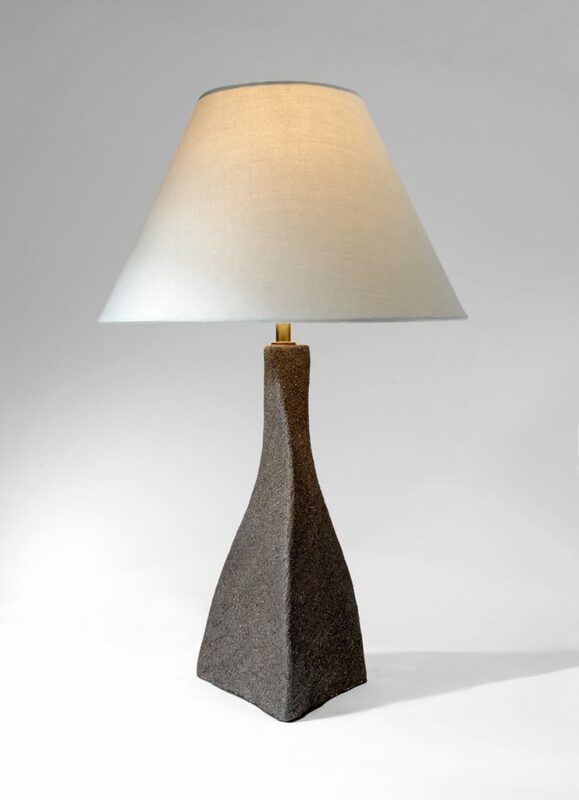 Elica’s most recent work includes her table lamps with a ceramic base. The electric light enhances the visual appeal of the ceramic.